Are you looking for unique dog names? You must be looking for unusual dog names because you are about to get a dog! That is very exciting news, congratulations! Finding a name for your new puppy or dog can be really hard but we are sure we can be of help. 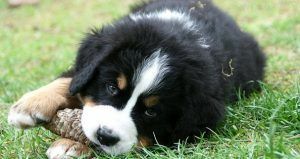 On 123Tinki.com you can find a database with over 38.000 dog names, which will definitely contain some creative dog names for your new pooch! Our dog name generator can help you select only the names that apply to your personal preferences. Which is incredibly useful because the database is so big. We understand that you do not feel like reading all those 38.000 names yourself. Further on we will tell you a bit more about the generator, how to choose a name, which things to look for in a name and of course give you plenty examples of original dog names! Our generator is a very useful tool to use when you are not sure what to look for yet or when you want to only find the names that apply to your preferences. This can be done quite easily actually! The generator will give you access to our database and once inside, you will find a panel with filters on the side. These filters can be switched on and off to whatever you like! You can select ‘male’ or ‘female’ but can also leave the gender open. You can select a theme, like unique or cool and can even sort the names by nationality! Are you sure you want a name starting with a certain letter? You can search for that as well! This way you can really find anything you need; Disney dog names, cool puppy names, dog names meaning blue and so much more. Keep sniffing! To get you inspired already, here is a list of a few uncommon dog names. Maybe that one perfect name for you dog is already in here! If not, definitely keep scrolling through our website. You can find anything you need! Choosing a dog name is not an easy task. Well it can be, but then you probably will not have to look further anymore. If you do find it a bit of struggle or are just incredibly unable to pick one name, listen to this: Take. Your. Time. Honestly, you do not have to rush this decision. Choosing a name is something you have to think about and make sure you absolutely love the name. Also think about the fact that you still want to enjoy the name in a few years time as well. The best unique dog names could be found in history. Some dogs have really become famous and they might have a beautiful unique name that suits your dog perfectly. Although famous is not always immediately connected to unique, they could still be good unique dog names. Different breeds and different gender or types of dogs have done brave things. So maybe you can call your new German Shepherd after a war dog or your new Corgi after one of the Queen of England’s furry friends! We think Smoky is still quite an original name for a dog, and the name comes from a great story! Smoky was a small Yorkshire Terrier, found by a soldier in an abandoned foxhole in the jungle of New Guinea. After the soldier sold Smoky to another soldier, the new soldier Wynne and Smoky became great friends. Although Smoky was never considered an official military dog, she did receive battle stars for great things she did. Smoky saved Wynne from several attacks by barking him awake and even survived a typhoon. Are you about to own a Yorkshire Terrier? (Or any other type of dog of course..) Smoky could be a great name! This Scottish Terrier was the famous dog from president Franklin D. Roosevelt. She was pretty famous in the media and lots of tabloids talked about her. Of course she was just a dog and simply loved by her owner. Nothing special really. Her name though, does sound special to us. Very unique dog names are hard to come by but once in a while you do find a special one. We think Fala is quite a special name for a dog and think it is absolutely beautiful. Maybe that one perfect name for your dog? This story from Greek mythology is a beautiful example of the bond between human and dog. It also shows the exceptional and unbreakable love a dog can have for his owner. Argos was Odysseus dog. 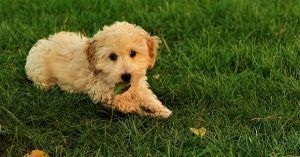 If you are a bit familiar with the story of Odysseus you will know that Odysseus left his family and puppy to go to Trojan. Odysseus returned after 20 years, his dog was still there. The beautiful and sad part about this story is that Odysseus returned as a burglar and his family did not recognize him. Argos on the other hand did. The dog wagged his tail when seeing Odysseus, whimpered a little and then fell over to die from age. It really tells the beauty of a relationship between man and dog. After all this searching, making lists etc. you will have to choose one final name. Maybe you have a list of suitable dog names from the dog name generator or you have created a list of names yourself. When you have narrowed down your options it is a good idea to practice the names out loud. There are several reasons why this is a good idea. It all comes down to the length, sound and complexity of the name. These are 3 aspects you have to think about when choosing a name. It is very important that a dog’s name is not too long. You do not want to make it unnecessarily hard on yourself or your puppy. You have to be able to call the name in any situation in which your dog always has to be able to understand you. Longer names are often harder to pronounce completely in alarmed situations. For example; your puppy is about to run off onto a busy street and you have to call him back loud and clear in a split second. You will find yourself shortening the name or struggling to get it out on time. Maybe you are able to do this but you will definitely have not made it easy for yourself. By always shortening your puppy’s name you will also confuse your puppy. Calling your dog Alexander one day and Alex on other days is very confusing. Keep this in mind and stick to something short and clear. Some letters and syllables are processed really well by a dog’s brain. For example the letters ‘s’ and ‘t’ can often be pronounced very clearly which makes them perfect for dog names. Names that end on an ‘ey’ or ‘ay’ sound are also very good options for dog names. This is also why names like Charlie, Bailey, Max or Tommy work so well! As we said, you have to be able to pronounce your dog’s name clearly and your dog has to be able to understand you at all times. Whether you are deciding on the most original dog names to choose from or not, you have to make sure you are able to call the name clearly. Every command we try to teach our dogs are short and clear terms. To your dog, his name is like a command as well. You saying that ‘word’ means he has to pay attention to you and your dog will quickly understand that after hearing his name, another command will soon follow. Keep this in mind when deciding on your one and final name and make sure you are able to call the name loud and clear in all situations. To inspire you a bit more we have made a list of the most uncommon dog names that we have seen and really liked. Maybe that one perfect name for your dog is in there! In your quest for unique pet names for dogs it is incredibly important to take your time. We cannot tell you enough, take your time on this decision. You are the one that has to call the name for the rest of your dog’s life, which will hopefully be a really long time. Think about this and make sure you absolutely love the name. Do not rush things and think it through. Good luck with finding the perfect name!